Happy Monday! 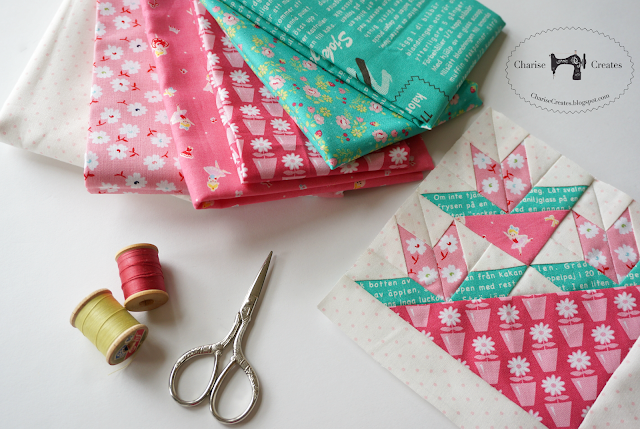 Today is my day on the Farmer's Wife Quilt Along hosted by Kerry at Very Kerry Berry. My apologies for this late post! Even though Spring is only about a week away, we have been experiencing some extreme weather here in the Pacific NW region of the U.S.! I had plans to spend Sunday sewing my Farmer's Wife block, but a wind storm and power outage thwarted my plans. The power was back on late into the morning so thankfully I was able to make the block, Lily, this morning! This block was a fun one to make! 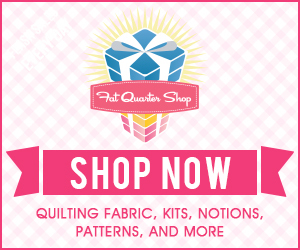 I raided my stash for some favorite fabrics. This is such a fun ongoing project. I Love the way this quilt is growing! I really, really love your block. 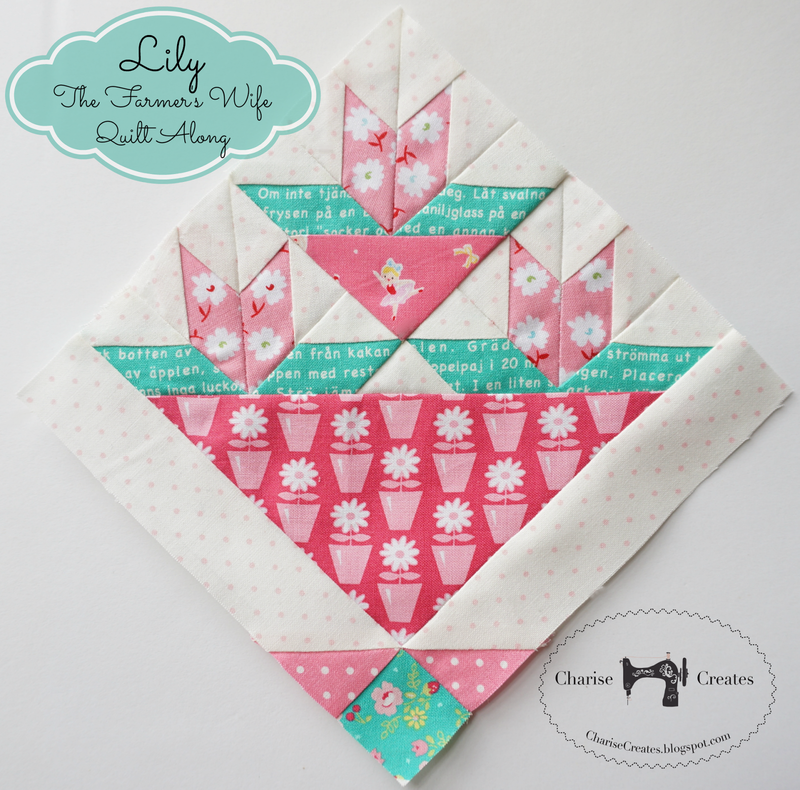 I may just have to make another Lily block to more-or-less copy yours! Love your block and all the blocks together. Beautiful fabric choices! Oh Charise, you do such lovely work ~ really makes me want to do this quilt! 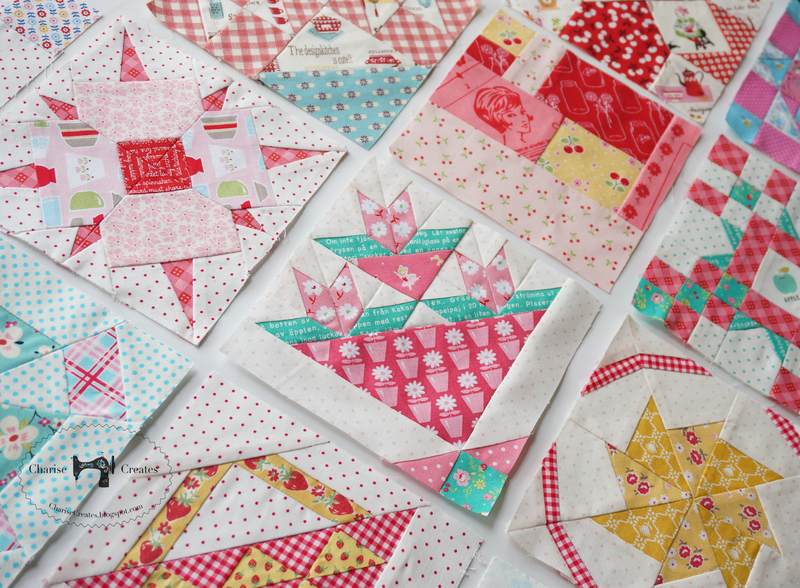 All those pretty blocks together ~ love!